RUSH: We have Catherine Herridge at Fox News with two different sound bites here. 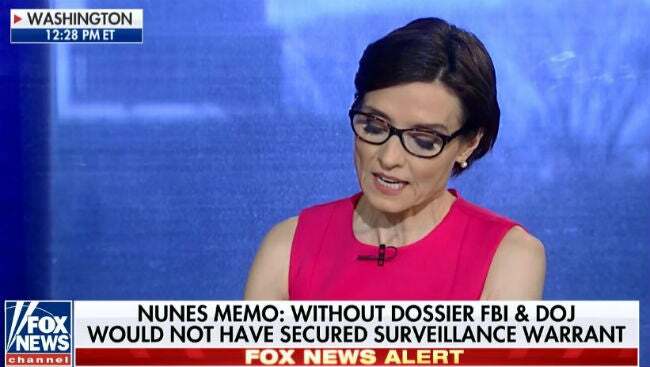 HERRIDGE: The memo states that a high-ranking law enforcement official told the House Intelligence Committee in a closed-door session that the bureau would not have obtained a surveillance warrant for Trump campaign aide without the controversial dossier funded by the DNC and Clinton campaign. We also understand the memo states the FBI and Justice Department, in their application to the highly secret surveillance court known as the FISA court, used media reporting to lend credibility to the dossier that was compiled by the opposition research firm Fusion GPS. RUSH: And here is the next bite. This is about an hour ago, a little over an hour ago from Catherine Herridge. But I just want you to hear it from other sources. HERRIDGE: What’s key here is that Fox has previously reported based on British court records that former British spy Christopher Steele briefed six American media outlets on the dossier and the allegations against then-candidate Trump. So this does appear to be circular reporting that was used to lend credibility to the dossier. After Steele’s contact was cut off with the bureau, we now understand the four-page memo states that Steele and Fusion GPS, the firm behind the Trump dossier, continued to pass information to the FBI through the Justice Department official, Bruce Ohr, who was recently demoted over his contacts with Fusion GPS and Steele. We are also told that there is evidence that Steele had a personal animus against then-candidate Trump. RUSH: It’s worse than a personal animus. He told Ohr that he detested Trump and didn’t want Trump getting anywhere near the White House. We were not told that. Christopher Steele has been a guy who, in fact, in many places has been reported as a fine agent, retired MI6, fine, fine guy, has done great work in the past. He’s kind of been out of the game for the past couple of years, but they found him, and the guy does credible work. That’s what we were told. We were not told this guy pretty much hated Trump. We were not told this guy was in this because he detested Trump and that he was passionate about Trump not making it to the White House. And another big thing, we thought that they had other things besides the dossier in their FISA application. They had nothing. I mean, they wouldn’t have had enough for a FISA warrant application without the dossier. And they knew of its political origins! They knew it wasn’t intel when they went to the FISA court to get the application to spy, to get the warrant. They knew all this. And here is President Trump and his reaction. This is from the Oval Office earlier today. THE PRESIDENT: I think it’s terrible, if you want to know the truth. I think it’s a disgrace, what’s going on in this country. I think it’s a disgrace. The memo was sent to Congress, it was declassified, Congress will do whatever they’re going to do. But I think it’s a disgrace what’s happening in our country. And when you look at that and you see that and so many other things, what’s going on, a lot of people should be ashamed of themselves and much worse than that. So I sent it over to Congress, and they will do what they’re going to do. Whatever they do is fine. It was declassified. And let’s see what happens. But a lot of people should be ashamed. 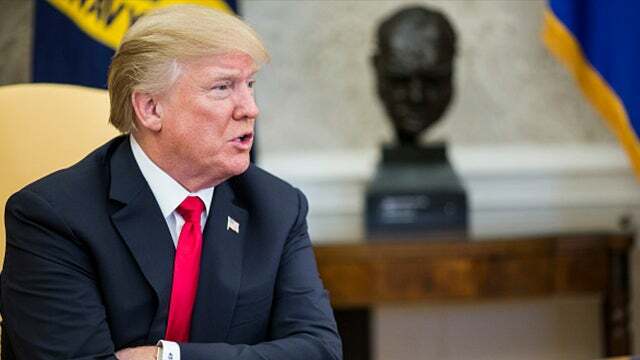 RUSH: That’s the president. A lot of people should be ashamed. It’s a disgrace. People should be ashamed. It’s a disgrace. Congress declassified it. What they’re gonna do is what they’re gonna do. We’ll see. It’s a disgrace. People should be ashamed. It’s a disgrace. I don’t know what Congress is gonna do, it’s horrible, it’s a shame, I really mean it.